Marketing studies are frequently reminding us that video is the premier communication tool in today’s market. Since video has proved to be the future of marketing, harnessing the power of video to represent your brand has never been more important. Video is a must-have tool in today’s marketing strategies – but how do you add it in to your already overloaded schedule? There are many obstacles involved with promoting and distributing video content over social media networks, especially as enterprise video tools and platforms continue to grow in popularity. The addition of video on Google, Facebook, Twitter and others has created a need within companies to integrate workflows between video and marketing teams. 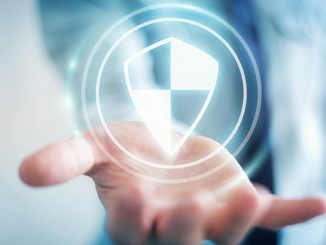 Consequently, corporations are now facing more complex decisions about how to distribute their video, manage security, and integrate with other enterprise and social platforms – all while keeping costs down. With recent studies showing that social media engagement directly correlates to the volume of videos being produced and shared, it is important for corporations to take advantage of the benefits social media platforms have to offer. But, for marketers looking to repurpose video content for social media marketing it can be difficult for them to get the video content they are looking for when they do not have the ability to create it. When the video production experts and marketing teams collaborate, the result is a flow of fresh video content for marketing purposes. To achieve this collaboration organizations should invest in a marketing-friendly solution with editing and branding automation capability that enables marketing professionals to create great video content. Organizations that want to leverage video content to promote their brands and expand their audiences, need something to help their marketing teams easily repurpose video for social media channels. 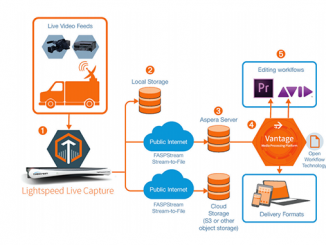 Vantage Social by Telestream, bridges the gap between video production and marketing so video can freely flow from production systems into social media platforms. Vantage Social performs the heavy lifting of getting video into the social media ecosystem by formatting and delivering video, graphics and metadata in social media friendly formats. With Vantage Social, marketing teams select video, edit and simultaneously publish video and messaging to one or many social media channels at once. 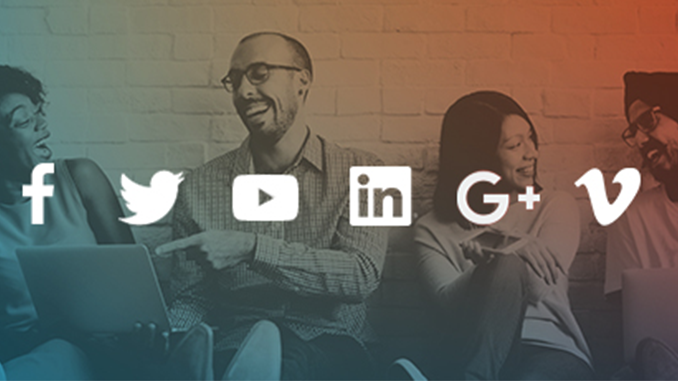 Vantage Social eliminates technology distractions so that marketing professionals can focus upon maximizing the impact and clarity of messaging and communication. The upfront work of creating a design that works for the organization absolutely requires collaboration between the video and marketing teams. Developing good workflows requires integrating well-established processes and knowledge within the video and marketing teams. In the past these teams have rarely had reasons for interaction, but with the integration of video across social media platforms, this collaboration has become a critical success factor. If your marketing team wants to use video on social media but it feels like a struggle, Vantage Social can make your life easier and enable you to achieve your video marketing objectives. 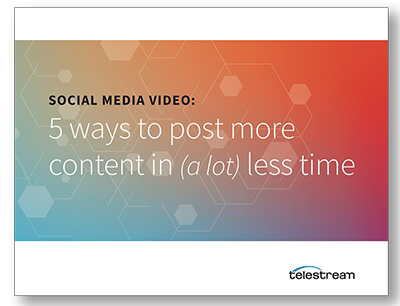 To learn more about posting video to social media download our ebook, 5 Ways to Post More Content (a lot) Less Time.